SCENAR history, 2006 — SCENAR and COSMODIC — “LET Medical” Research Lab. COSMODIC technology was approved by the Federal Agency for Public Health and Social Development of the Russian Federation and was implemented in all 700 series devices. All devices, and even remote electrodes, have Registration Certificates and Certificates of Conformance. Now COSMODIC technology can officially be used in all medical institutions. Casing OKW, “Pocket” series — the same as in the previous 705 , but a bit smaller, to fit in the hand better. Electrodes — built-in “sleigh runners” made of Zepter stainless steel. 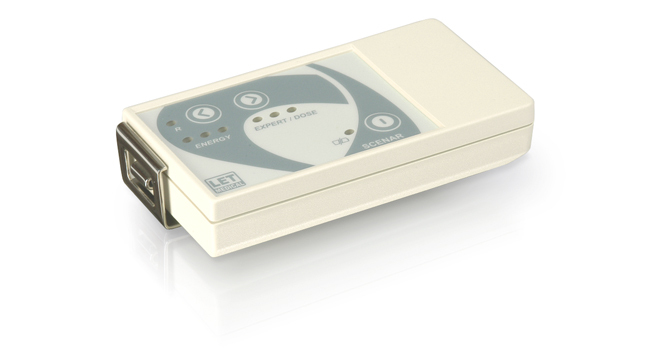 Touch switch-on, automatic regulation of action energy. Sound indication can be switched off. 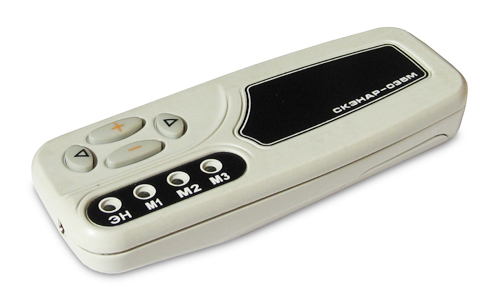 This device is similar to the 705 , but cannot be connected to remote electrodes and does not have special mode for action on mucous membranes. Two built-in coaxial electrodes — small and big, made of Zepter stainless steel. Special in everything. In spite of the name 035M, it is not a successor of any previous device. Casing was made specially for this device — home-made design and manufacture. Output stage is like it was in ENS-03 but upgraded. The name followed from it too — 035M. 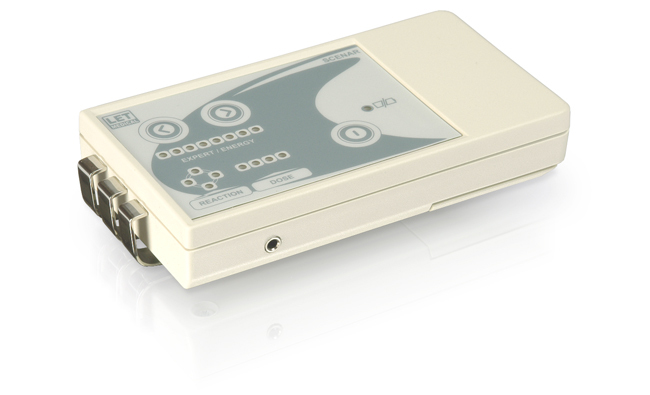 The whole electronic block is implemented on one custom-made EPLD. This device was developed taking into account minimal manufacturing costs. Therefore requirements for quality and effect of treatment were understated. Power supply: special — 2 galvanic cells 3V each, like in cameras. Abroad this device is mostly known as The D.O.V.E.